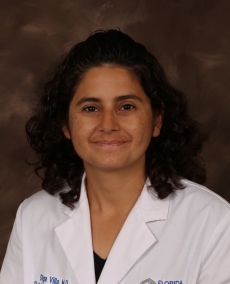 Dr. M. Olga Villa is a board certified OB/GYN with nearly two decades of experience in taking care of expectant mothers and women’s health needs. She provides compassionate care and treatment while working with each patient to achieve the best possible outcome. Dr. Villa also has special interests in minimally invasive surgery, pediatric gynecology, endometriosis, and cancer screening and treatment. Dr. Villa is fluent in both English and Spanish. In her free time she enjoys reading, exercising, crafts and spending time with her family and children.